This model was produced between 1934 and 1936, it was the largest house in a series of 3. 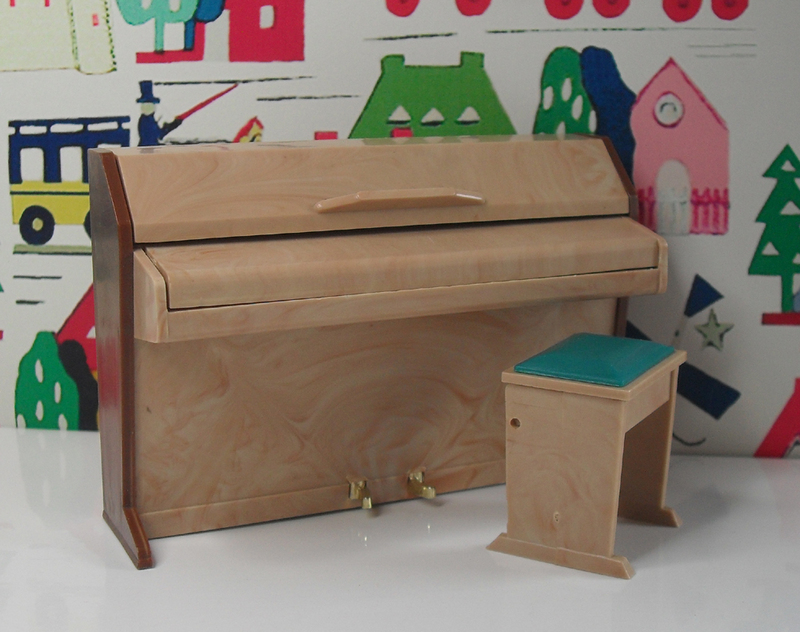 This lovely Triang No.42 was a bargain at £15. The house and roof have been over painted, the windows have also been repainted and are very rusty. 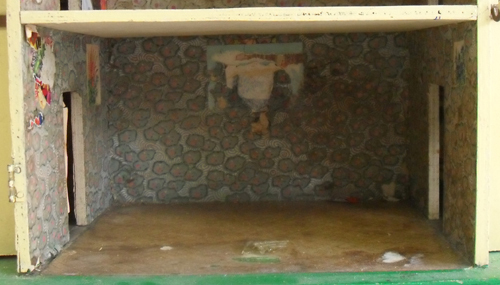 It has original wallpaper throughout but is very tatty and has stickers and crayon marks in most rooms. I do not think I will be able to keep the wallpaper, but might be able to save enough to do one wall. One thought I had, was to scan the paper and copy and print it using my computer. With only one and a half window inserts missing, they should not be hard to replace. Top right room showing the top of the staircase. 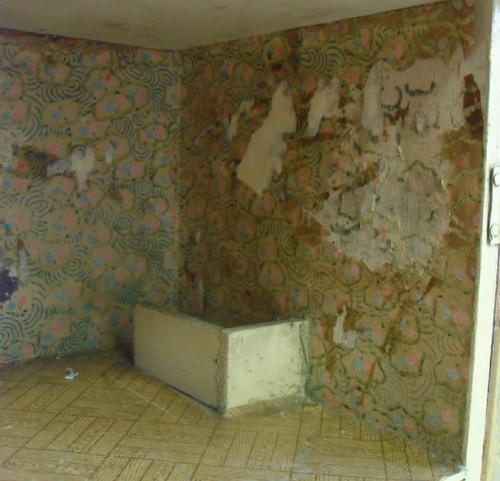 The wallpaper is very tatty, and has various stickers which can’t be removed without damaging the paper, the floor paper is not too bad and could be carefully cleaned. Bottom right room showing the staircase, this has a very interesting wallpaper, seems a strange pattern for a downstairs room, it looks more like a child’s bedroom wallpaper. The font door has been over painted and the door knocker is missing, but the little ring is still there, as is the letter box and door knob. Very nice work. I admire your passion for this range of dollhouses!